The Etobicoke Chapter is one of the thirty-six Chapters of the PEO in the Province of Ontario and is one of the eight chapters that administratively belong to the West Central Region of the PEO. 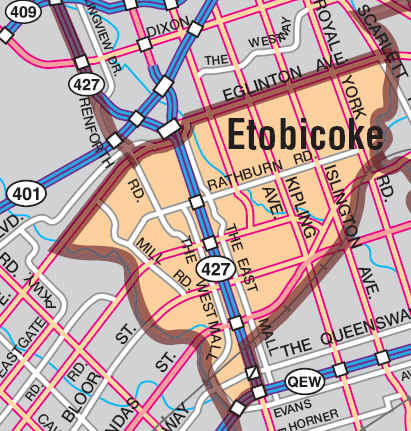 The Chapter serves over 1,000 members residing in central Etobicoke (the western part of the City of Toronto). All professional engineers whose home addresses have postal code prefixes M9A, M9B and M9C belong to the Etobicoke Chapter. To facilitate two-way communication between PEO Council and members of the Chapter, and to carry out certain functions pertaining to the regulatory responsibilities of the PEO. To encourage and promote personal development and social responsibility among Chapter members. To promote public awareness of the engineering profession in the community. For the ‘Welcome to the Etobicoke Chapter: What’s in it for me?’ brochure, please click here. Generally, each year Chapter Executive members organize up to six events. These events include interactive forums to discuss PEO regulatory issues, presentations on technical topics, visits or tours of engineering works and plants, and talks or seminars on various personal interest subjects. To raise the awareness and to promote the profession of engineering, the Chapter conducts presentations to Etobicoke area high school students in conjunction with National Engineering Week activities. The Chapter Executive also organizes License Presentation Ceremonies to new members of the PEO together with neighbouring PEO chapters.